Depending on the size and shape of your office, partitioning can be installed in a variety of different configurations. From corner offices to modular systems, good workplace design is all about making the most of the space you have available. However, when you’re confronted with a blank canvas, it can be difficult to visualise how to make that space work for you. This guide shows you some common office shapes and examples of how you can divide that space. 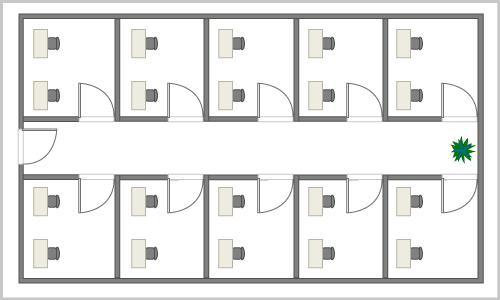 Large offices with many employees often benefit from a modular layout. This gives employees partial privacy and allows them to be organised into teams. This layout doesn’t include an office for complete privacy. It would be necessary to lose some of the modules to accommodate this. 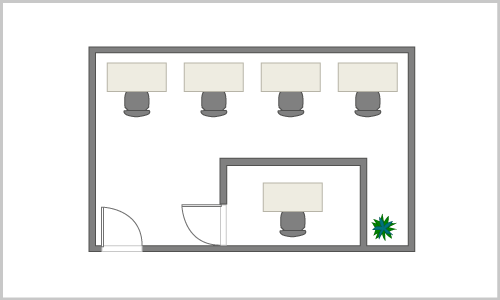 Slightly more space enables you to use three partitions to create a larger centralised office. This again provides managers with privacy, whilst creating an open plan environment for employees. The two alcoves on either side of the main office provide some privacy for employees. It also makes it easier for employees to be divided into different teams. 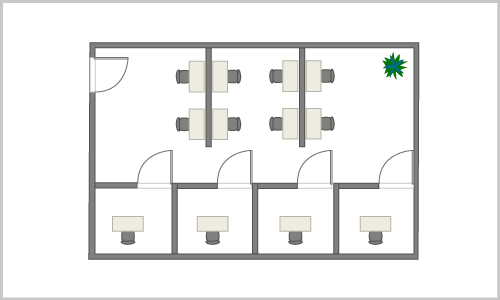 As with the previous layout, the open plan space may not be ideal for employees who require greater privacy to work efficiently. Two partitions provide employees with partial privacy, as well as allowing teams to be grouped together. Three private offices can also be created for managers, using a number of partitions. The side alcoves can provide some employees with partial privacy. This layout doesn’t provide any open plan space for collaboration. In creative businesses where individuals need to communicate freely, this kind of area can be essential. 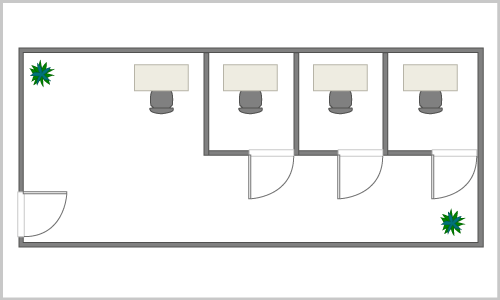 Splitting the office with just two partitions is a cost-effective way to divide the space. Employees are provided with partial privacy and can be organised into teams. This layout does not provide a completely private office. The extra space allows for three offices to be formed from partitions. This provides a number of senior managers with privacy, whilst creating an open plan space for employees to work in a collaborative environment. If an employee’s role requires quiet and concentration, they may struggle to work efficiently in the open plan area of the office. A modular system gives employees partial privacy and allows them to be sorted into teams. Locating the modules against one side of the room makes the most of the space, whilst still allowing for a walkway through the office. 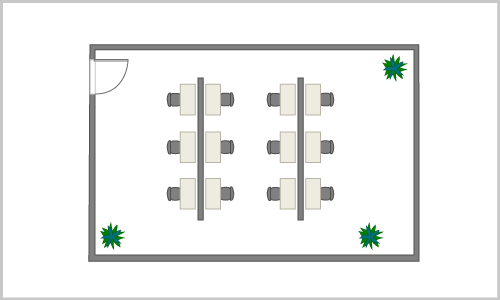 This layout does not allow for the total privacy of a private office, which may be necessary in some business environments. The designs above shouldn’t be seen as a set guide. Instead, the different elements should be used as inspiration to create a layout that works for you – every business is different and you know your requirements better than anyone. Once you’ve chosen a layout, head over to our measuring guide. This will show you how to calculate how much partitioning you need in order to estimate the cost of your project. If you have any questions or would simply like some advice, please contact our expert team.